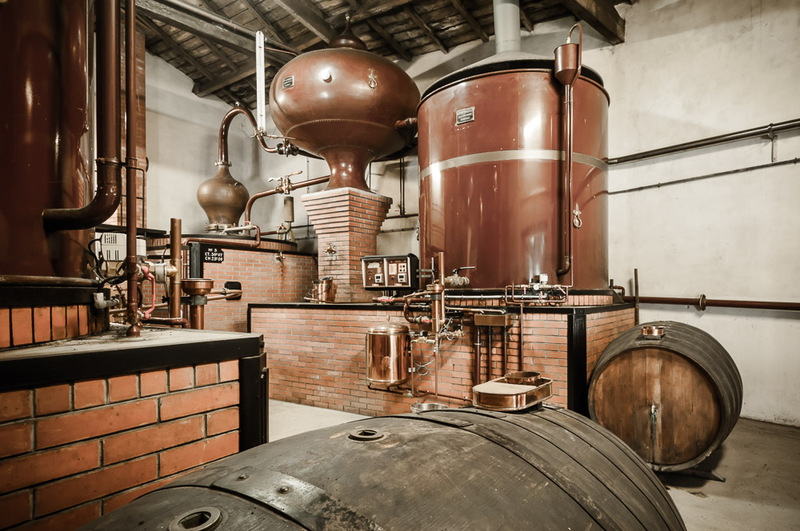 The process of distillation is still the same since the cognac was born… in the 17th century ! 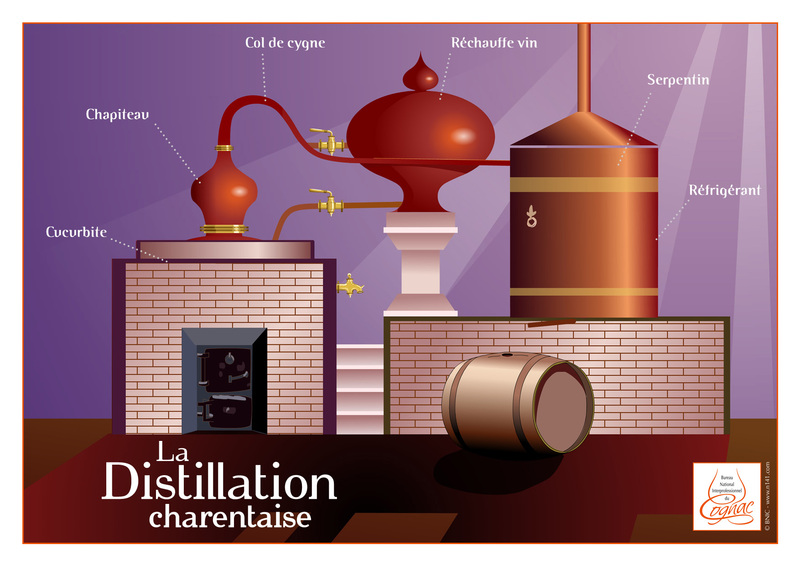 Cognac distillation is performed in a two-stage process, with a specific Charentais copper still, with its pot (or boiler), its swan’s necks ans its cooler and its condensing coil. The white wine, harvested in the Controlled Appellation Area, is introduced in the pot and brought to the boiling point. Alcohol vapors condense to form a cloudy liquid called « brouillis »,with an alcohol volume of 28 % to 32 %. The « brouillis » is then returned to the boiler for a second distillation, called « bonne chauffe ». The total capacity of the still must not exceed 30 hl (with a tolerance of 5%) and the load volume is limited to 25 hl. The first liquid obtained, with a high alcohol content and referred to as the “heads”, is separated from the second distillation. Called “la coupe”, this operation slowly reduces the degree of alcohol. After the “heads”, comes “the heart”, a clear spirit that will produce Cognac, then “the second cut” when the alcoholometer registers 60%, and finally at the end of distillation, “the tails”. The “heart” of the bonne chauffe is then put into oak barrels to begin the ageing process. 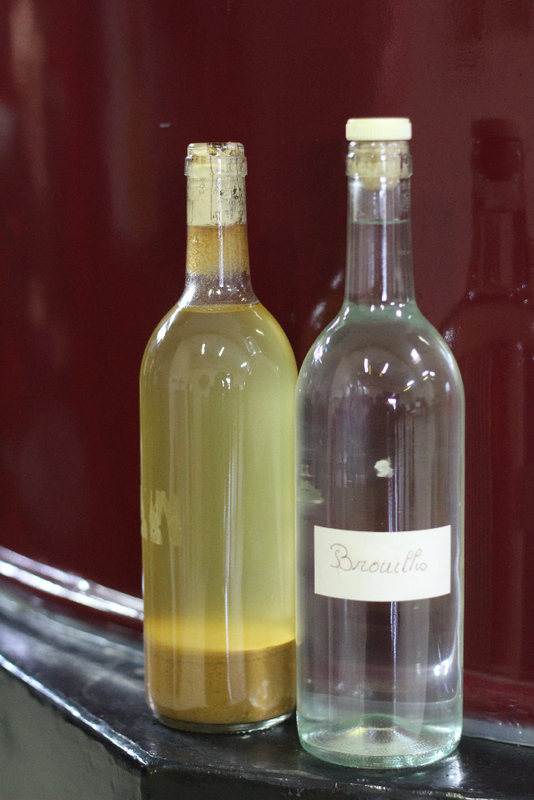 « Heads» and “second cuts” are redistilled with the next batch of wine or “brouillis”. This charentaise double distillation, lasts 24 hours, needs constant monitoring, close attention and extensive experience on the part of the distiller, to give the cognac all its personality. The distillation season closes on March 31st following the harvest, and is ensured by grower-distillers (4 000 in the area).